It’s a college where you have to rely all on ourselves it isn’t comfy zone got to adjust to certificate this if we are prepared for all of this then you might want to consider this college. Geology isn’t available anywhere in Tamilnadu and this is best compared to other colleges. The best college I have seen. Since it is government college I didn't see any issues from the staffs. It's a very good college for good learners... And the bad college for the bad listeners. 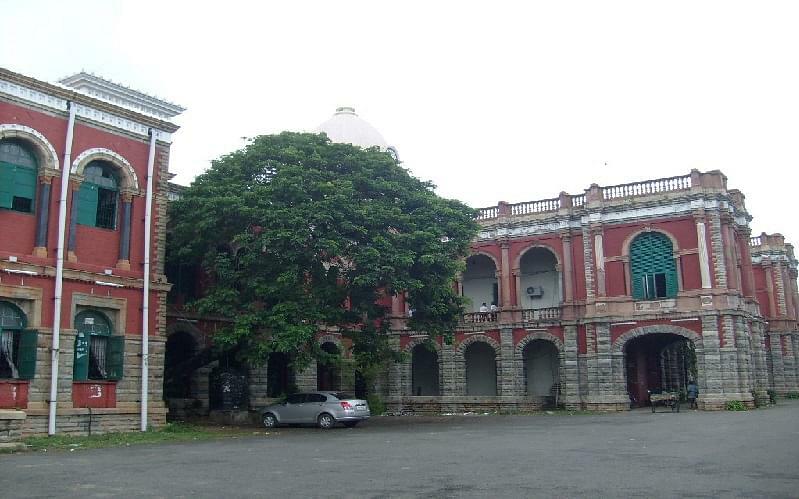 Presidency College, Chennai was established on October 15, 1840. College was established as the Madras Preparatory School on October 15, 1840 and later, upgraded to a high school and then, graduate college, the Presidency College is one of the oldest government arts colleges in India. It is one of the two Presidency colleges established by the British in India, the other being the Presidency College, Kolkata. The college was ranked among the Arts and science colleges in Tamil Nadu in the year 2007 and the award was presented by the Honorable Chief Minister of Tamil Nadu on 18th September 2008. Scholarship for post metric Studies in Hindi. Hi I'm revathi I need to join bsc physics. Is there any entrance exam? Hi Uthaman, for admission process of UG courses, kindly visit the official website or contact the college at 044-28544894.
hello Jeevanandham, The college doesn't provide BA for 2 Year, BA course only available for 3 years. Hi Jensha, yes, you are eligible for taking admission in this college. Hi Ashlin, no, there is no entrance exam for admission in PG, admission is done on the basis of marks scored in qualifying examination i.e marks in UG degree. Hi Akash, please mention the course in which you want to take admission. Is it a co-ed for ug? Hi Lakshmi, Yes this college is Co-ed. Hi Bhuvaneswari, this college does provide the courses as Full time study. Hello can anyone help Me with the admission in MSc chemistry or biochemistry in presidency college, Chennai? Hi Mageshwari, Please check this link for Getting the information about Admission guidelines of this College for MSW Course. Exam : TANCET Score : 37 Opt : Would like to study in Chennai and it is one of the most famous college and it is a Government college and less amount of fee. I have score more marks in +2 level. So i join to easily in presidency college. I have selected B.Sc. Chemistry. They are so many of course in this college. but i selected only B.Sc.